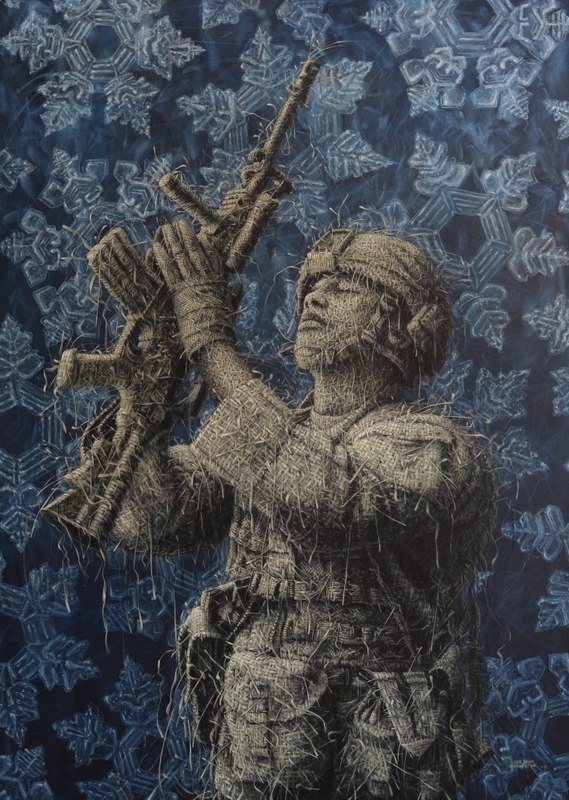 This work is part of a series of policeman, firefighters and US marines represeting how to show security, but in a spiritual way. The soldier is projecting more security when he gives peace and not violence, than by using his M16. This is not a particular person depicted. We all can be more powerful and safe through our spiritual practices, rather than by force. This series of works came about in response to the disconnection we have as one human race, in religions, races, social status, rich, and poor. I wanted to show the unity of life through what we have established as protection or security.